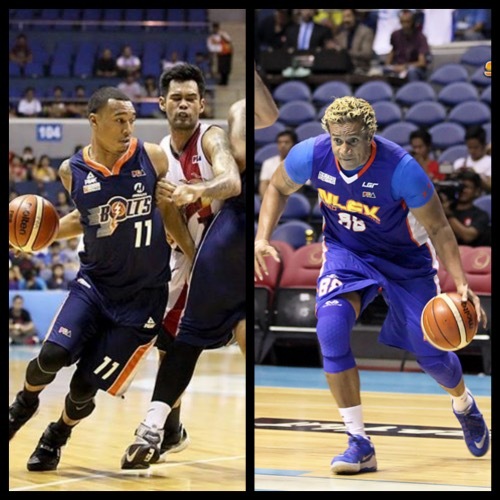 In this past Wednesday’s offerings in the 2015-2016 PBA Philippine Cup, the NLEX Road Warriors came through in the endgame to get back-to-back wins and start the season 2-0, while the San Miguel Beermen had to unleash a big fourth quarter to break open a tight game against the Meralco Bolts. 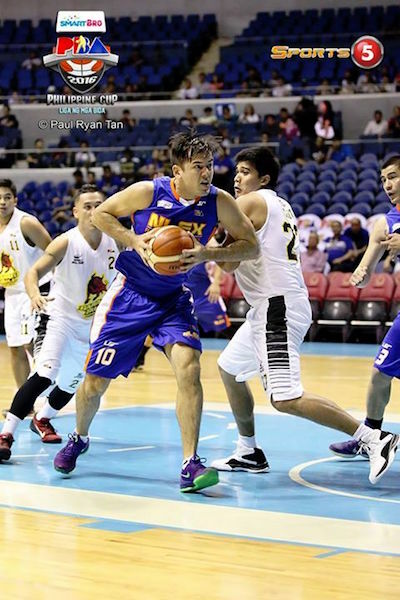 The NLEX Road Warriors notched their second straight win of their campaign after dispatching the Barako Bull Energy, 93-85, in the SMART BRO PBA Philippine Cup Wednesday at SMART-Araneta Coliseum. Hardworking forward Sean Anthony continued to display his impressive form, pulling down 19 boards to go along with 11 points and three assists. 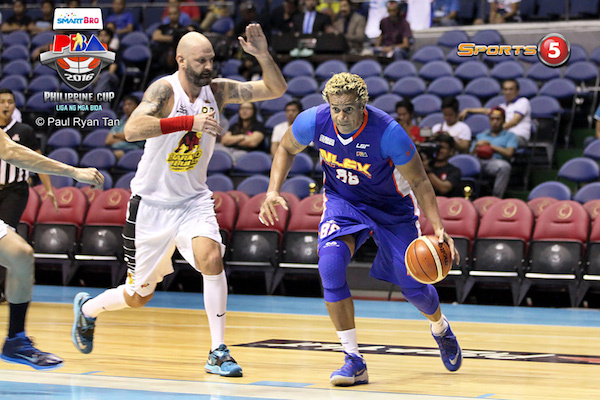 Asi Taulava top-scored NLEX with 14 points and 11 rebounds while Mac Cardona made 12 markers. Alas added 11 under his name. 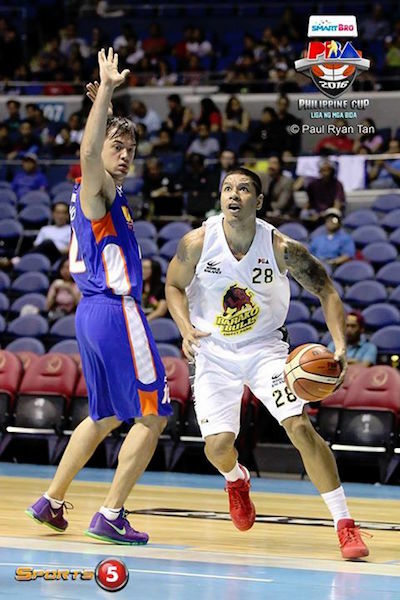 Willie Wilson and JC Intal scored 16 apiece for Barako Bull. Sean Anthony (NLX) - 11pts, 19rebs, 3asts. Willie Wilson (BAR) - 16pts, 17rebs, 6asts, 1stl. Sean Anthony had another strong showing for NLEX. Asi Taulava had little trouble driving past Mick Pennisi here. Willie Wilson exploded for a wicked double-double that was all in vain. 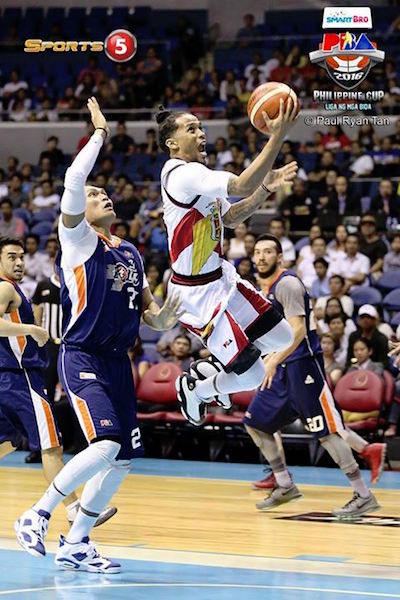 Defending champion San Miguel Beermen overcame a tough challenge from the Meralco Bolts to pull off a 101-85 win in the SMART BRO PBA Philippine Cup Wednesday at SMART-Araneta Coliseum. Alex Cabagnot finished with 18 points while reigning back-to-back MVP June Mar Fajardo tallied 14 points and 13 boards. Arwind Santos made 16 points and nine boards but was on the other end of a thunderous slam by Meralco rookie Chris Newsome in a highlight reel in the third quarter. The rookie from Atenep suffered a scary injury in the third period but managed to return, and he top-scored for the Bolts with 14 points and seven boards. Cliff Hodge also finished with 14 and seven. 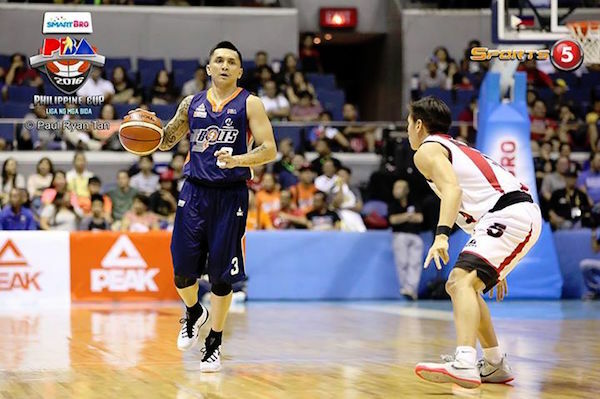 Alapag put up six points and eight assists in his first PBA game since coming back from retirement. June Mar Fajardo (SMB) - 14pts, 13rebs, 3asts, 1blk, 6/11 FGs. Chris Newsome (MER) - 14pts, 7rebs, 4asts, 1blk. 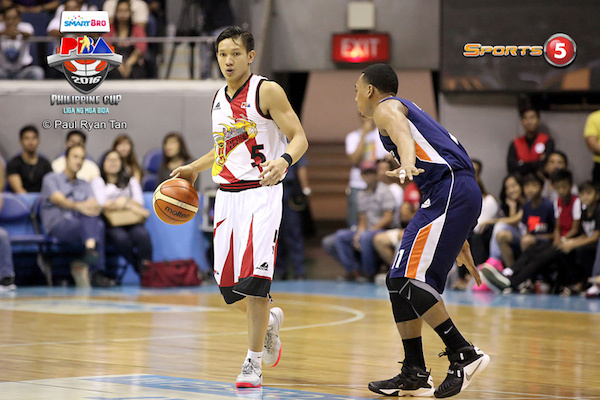 Alex Cabagnot came up big in the second half for SMB. 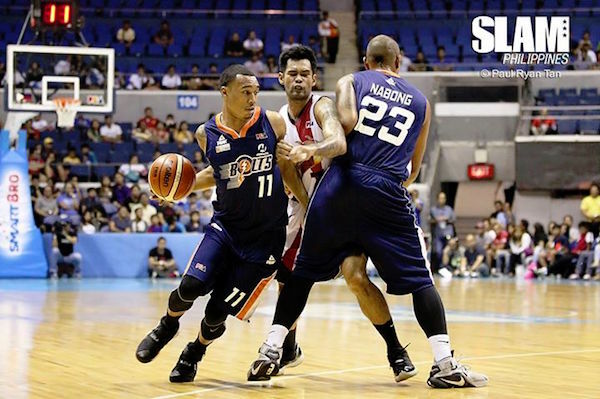 Chris Newsome had an auspicious pro debut for Meralco. Chris Ross drives strong to the basket past Reynel Hugnatan. 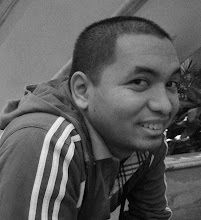 All images are by Paul Ryan Tan.